Colors vary with different monitors. We specialize in the installation of Seamless Gutters and Leaders for commercial and residential buildings. We have a variety of Leaf shedding products that can be installed on new or existing gutters. Maintenance and annual gutter cleaning contracts are available. References are proudly provided. 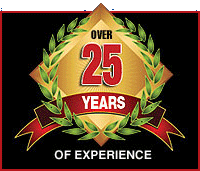 Roofing Master offers an exclusive lifetime labor warranty. If you've spent any time on a ladder, cleaning your gutters by hand, you know what an exhaustive chore it can be. LeafX® Gutter Protection System will get you off the ladder, giving you the freedom to do more of what you enjoy. Authorized by the manufacturer, this unique system is only installed by Roofing Master in your local area. LeafX® Gutter Protection System comes with an industry leading Lifetime Guarantee, and protects your gutters from snow & ice, leaves, pine needles, and other debris. We Guarantee Clog Free Gutters for the Life of Your Gutter. LeafX® Clog Free Guarantee/Warranty is Transferable, Thereby Increasing Your Home's Value. LeafX® is Constructed of 100% Aluminum, Preventing Corrosion or Fading. Attaches to Your Existing Gutter, Not the Fascia or Roof of Your Home. Installs in just 1-2 Days. LeafX® is Available in 14 Colors to Match Your Gutter. Fits New or Existing Gutters of Any Size or Style. Works With Any Type of Roof and Any Pitch. Handles Any Rain Ever Recorded. Other gutter guard products are available!